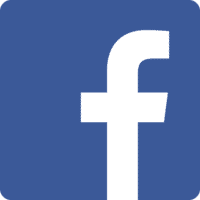 Here are a bunch of amazing Facebook statistics, facts, history and demographics that illustrate just how vast their digital empire is. Updated for 2019. The story of Facebook is legendary; A group of Harvard University students, led by Mark Zuckerberg, got together in 2004 to create a social network to create a social network within the Harvard community. It quickly proved to be a success and spread to other colleges across the northeast and then from coast to coast. Finally, in 2006, it was opened up to the world and its unprecedented, exponential growth began, continuing to this day. 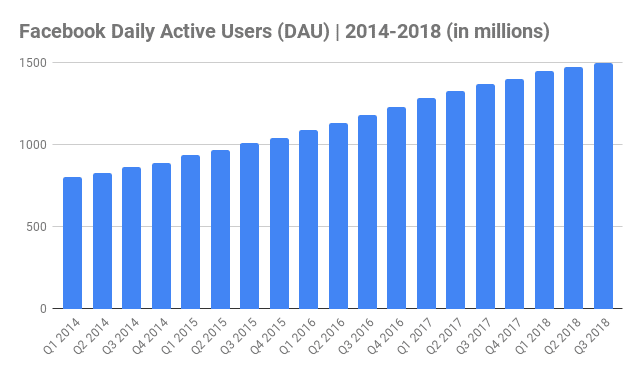 Facebook is now unquestionably the largest social network in the world with over two billion monthly active users and over a billion daily active users. With a platform as feature-rich and widely visited as Facebook’s there are countless stats that can be collected and tracked. 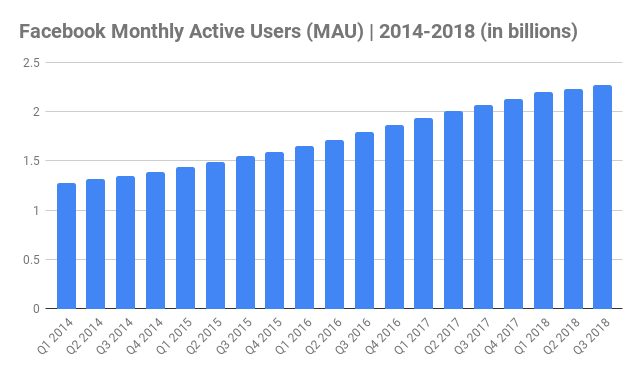 I have spent the past seven years identifying every measurable aspect of and facts about Facebook, starting with basic info like how many people are on the platform and then expanding and listing out each Facebook stat as I find them in an organized series of posts. You will find everything from average number of friends per user to users per country and everything in between. I hope you find some of these tallies as interesting and amazing as I do.